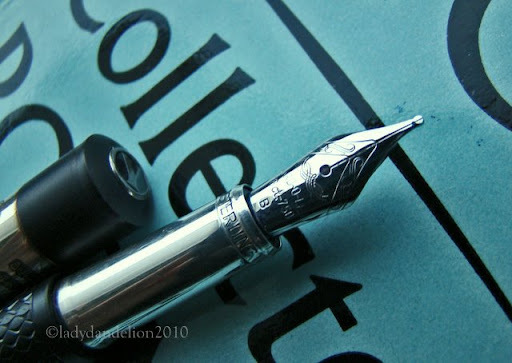 After waiting, what felt like an eternity, for this pen it finally arrived today: a Yard-O-Led Retro with a broad nib. 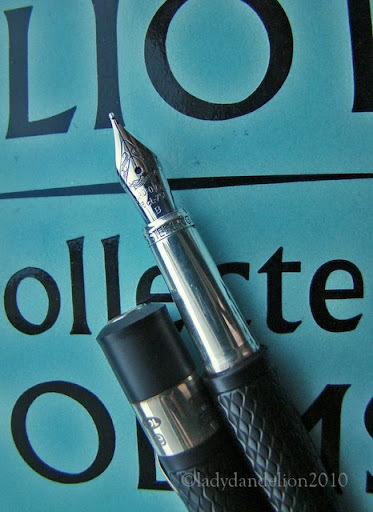 My first YOL and one of the few broad nibs I seriously consider leaving as is without customization. 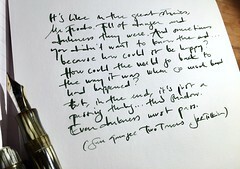 My first scribblings with it revealed a smooth nib with a bit of stubbishness. I’ll have to use it a lot more before writing a review, but I couldn’t resist posting some first snapshots of it. Even if the model looks like a British classic from the 1920’s, this model was introduced only a few years ago. Strangely enough YOL describes it as a retro pen reminding of the 1950’s, but I can’t see any traces of 1950’s typical features in this design. In my view it undoubtedly has an air of the 1920’s with its domed, flat cap, the black plastic resembling of BCHR, the ornamented clip and the silver details. This entry was posted in fountain pens, pens, photo, yard o led and tagged fountain pens, pens, photo, yard o led. Bookmark the permalink. Lovely and a wonderful post. I saw one of these at a pen shop several weeks ago. 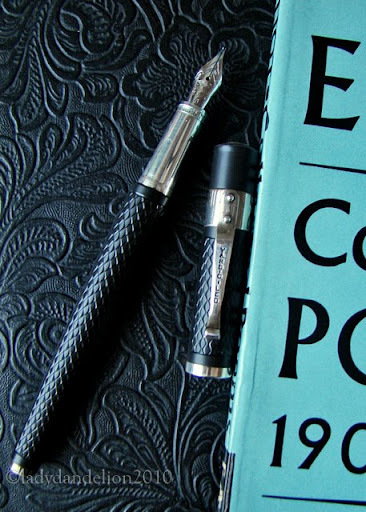 A very nice pen indeed! Congrats! 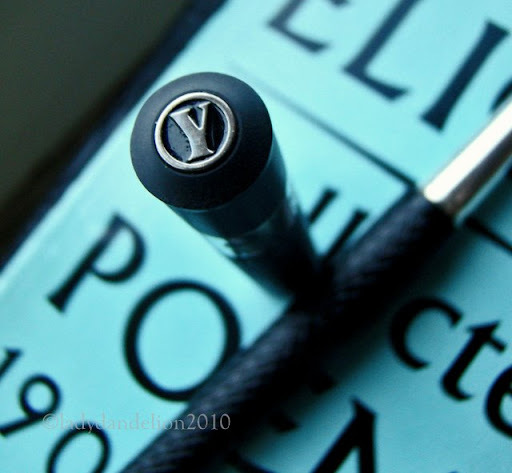 This is the normal sized – not the Grand – and it is a rather slender pen. 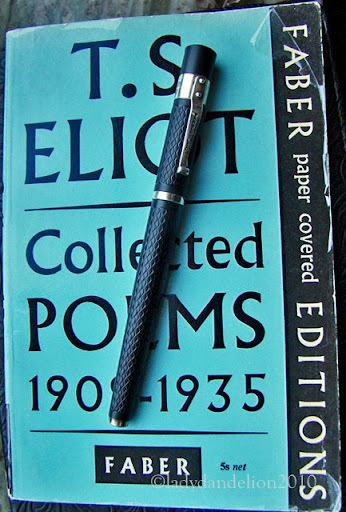 I often like a little bigger pens, but this is very nice in my hand – well balanced and posts well. I’ll post writing samples asap! Yard-0-Led pens, too. The texture of this material is quite interesting. Can’t wait to see how it writes. Be sure to post your writing samples for us.